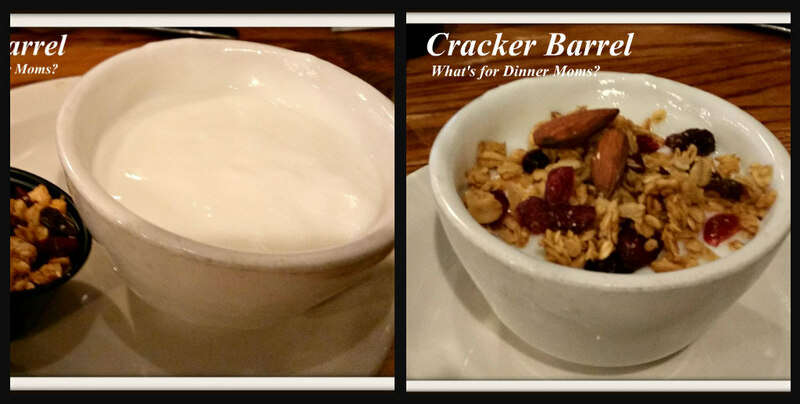 Eating Meals Out – Chain Restaurants – What's for Dinner Moms? Yes, we really do eat meals out occasionally. 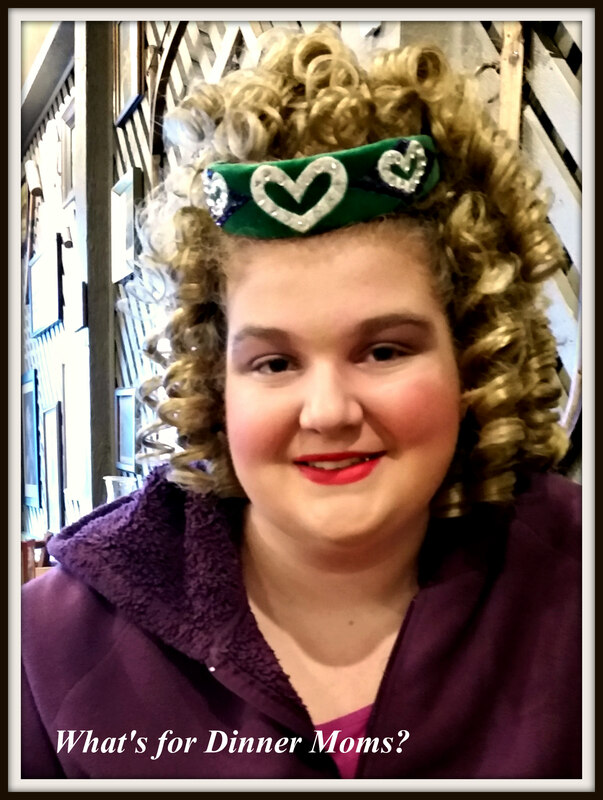 My daughter and I took a trip last weekend to attend a Feis, Irish dance competition, in Kentucky this past weekend. Normally when we travel as a family we try to find little local joints to eat in. We ask locals or we scour the internet to find out what the city is famous for. We have had some amazing meals this way. This past weekend we were not up for adventure. We wanted familiar, comforting food. So, we ate our meals at several chain restaurants. It was interesting. They are supposed to be pretty much the same region to region, city to city. We found a few differences. Some we liked and some we could do without. We went to Chick-fil-A, Cracker Barrel, Golden Corral and Buffalo Wild Wings. These are our thoughts. We started at our usual spot when we head South, Chick-fil-A. This Chick-fil-A in South Bend, Indiana is the closest to home for us. We love Chick-fil-A’s food. It is good food at a decent price and the service and cleanliness among all the restaurants we have visited has always been A+. My daughter wanted their seasonal Peppermint Chocolate Chip Shake and although it had been released in other areas of the country we found out it wouldn’t be released in our area until this past Monday. So, she had her second choice which was the Frosted Lemonade. I am not a lemonade drinker but I love the refreshing flavor of this drink. It is a very light lemon flavor and is not overpowering. Delicious! of course we had to have our usual chicken nuggets and Chicken-Deluxe Sandwich. The Polynesian sauce is the best for dipping fries and nuggets in. That is the whole reason I eat the nuggets. Once we checked into our hotel we realized how very hungry we were as we had not eaten since 11 am and it was already 5:00 pm. We got on the internet and searched for restaurants near us and I let my daughter pick as this weekend was all about her. She chose her favorite buffet restaurant, Golden Corral. 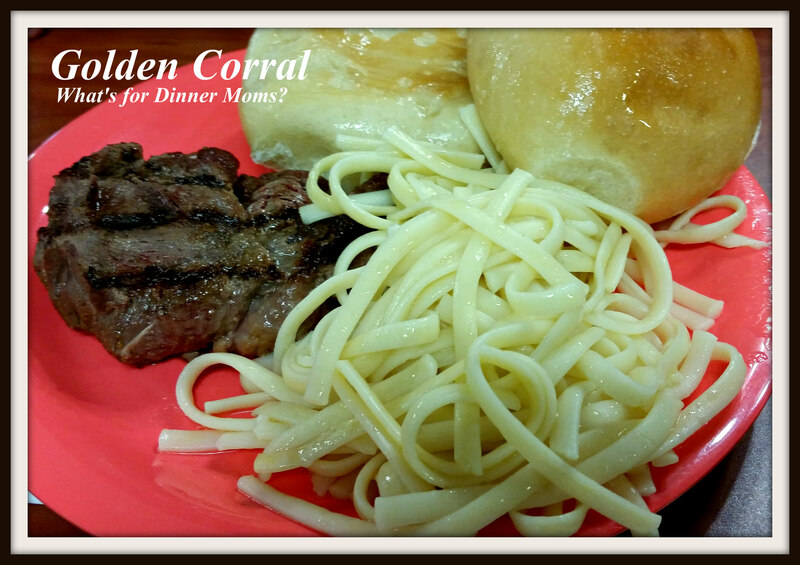 Now, Golden Corral would not be my first choice but it was her choice so off we went. We turned on the GPS and found our way to Golden Corral in Florence, Kentucky. 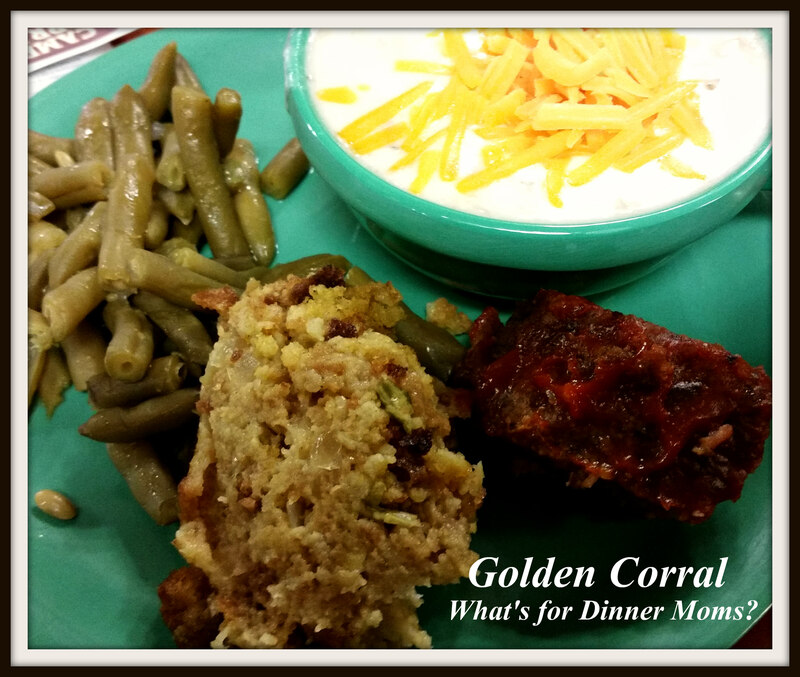 I was actually pleasantly surprised by this Golden Corral. I have been to several in many states and they can be hit or miss as far as food quality and cleanliness. This was actually fairly good. The foods were the appropriate temperatures and dare I even say the soup was too hot? It was mid-dinner rush when we arrived and as I glanced around I didn’t notice too many unattended tables or dishes left on the tables too long. The light fixtures could use a good dusting and the carpet needs some replacing or cleaning but other than that the appearance was good. I asked for my steak medium-rare to rare and it was perfectly cooked at the grill. 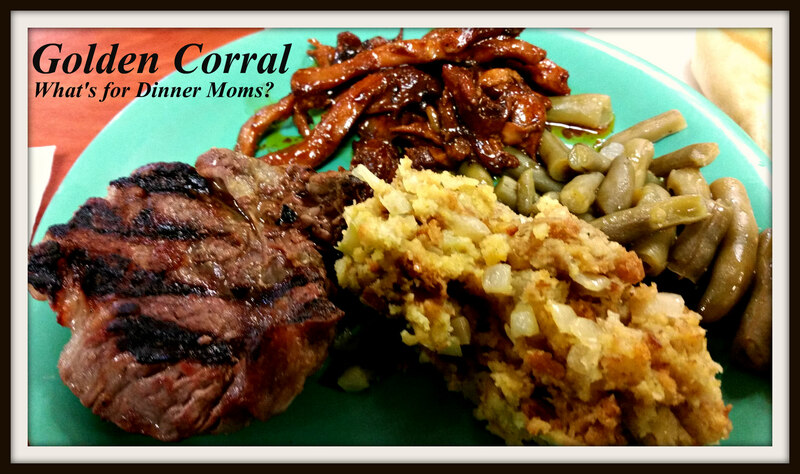 This Golden Corral also had breakfast foods – thick cut bacon, french toast, eggs and potatoes available during dinner time. My daughter was excited for the bacon. I was happy with my steak, stuffing and green beans. My favorite part of the meal is always the rolls and honey butter. I could eat just those with some soup and be happy with dinner. Our waitress was attentive removing dishes when we were done and filling drinks when needed. She was close by but we never felt we were being hovered over or hurried even though we were there during the dinner rush. My favorite part of the meal next to my steak and soup was that my daughter had a plate of thick cut bacon and pineapple. That is what she really wanted. How many places could she have had that meal other than a buffet? The next morning our hotel offered breakfast but when I sent my daughter downstairs to check it out she was not impressed in the least. I knew we were going to be all day at the Feis and really needed to eat well before going so I told her if she hurried we could make it to Cracker Barrel in Florence, Kentucky for breakfast before we had to be at the Convention Center. When we arrived it was crowded. We checked in and were told it would be about 10-15 minutes until a table was ready. Not too bad. It was almost exactly 15 minutes until we were seated. The store part of the restaurant is packed with all the Christmas items and with all the people it was difficult to walk through the store to the check-in stand but we made it. My daughter was made up for the Feis and we did get lots of funny looks. She is used to it by now but she wishes people would ask rather than stare. The best part was one of the waitresses came over and said to her, “I am so sorry. I have wanted to ask since I saw you walk in. Have you competed yet?” The waitress knew she was an Irish dancer and was wondering where the Feis was because she loved dance and Irish music. It made my daughter’s day. My daughter doesn’t like grits or gravy and most breakfasts come with this option. She really wanted meat and eggs so I ordered her a dish of yogurt on the side. This was delicious! I don’t like yogurt, it is usually to sour for my tastes, but this was light and the granola, fruit and nuts on top made it even better. This was her Sunrise Sampler Platter. It also had biscuits with it. She ate the bacon before I could snap a picture. I think it was a nice meal but would look so much better on a smaller plate. The large plate made it look, well, lacking. 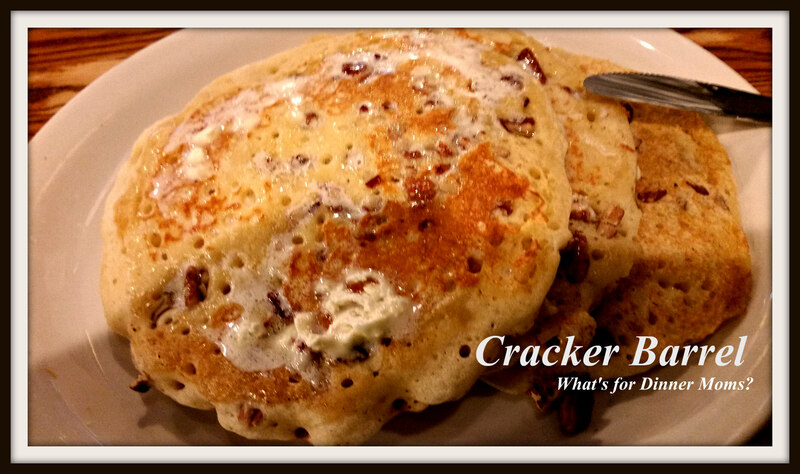 I ordered the pecan pancakes and they were so filling! I didn’t finish all three of them. They were packed with pancakes and were delicious. The warmed maple syrup on the side definitely added to the dish. I am going to have to start doing this at home whenever I serve pancakes. Our meal was about $20 with drinks for the two of us. 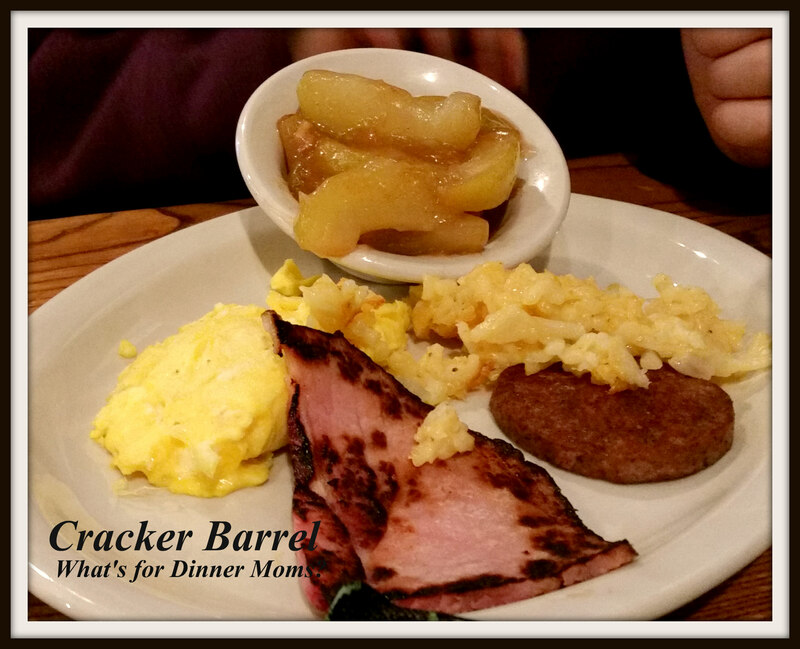 We will be heading back to Cracker Barrel again for breakfast! We finally left the Feis at 4:30 pm. We were exhausted and hungry! Neither one of us had anything to eat in about 6-7 hours so we were very grateful that we had stopped for a big breakfast earlier in the day. On our way north we kept watching for signs on the highway of places that sounded good to eat. My daughter was being a bit picky, she doesn’t care for burger joints and didn’t want Mexican food. I didn’t want anything too expensive or would take to long. 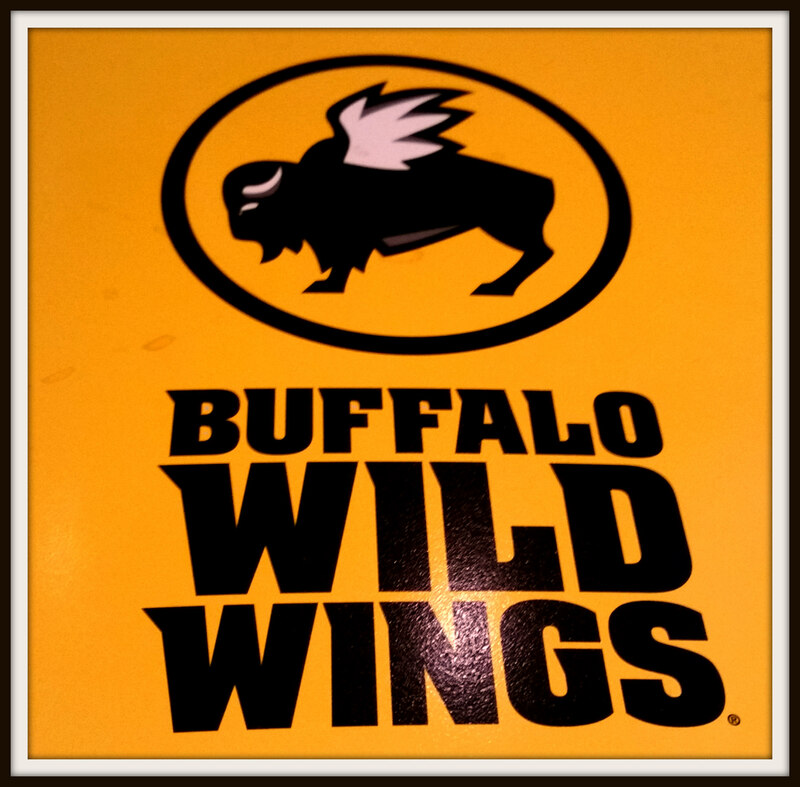 We finally agree on Buffalo Wild Wings. We have one of these at home but we both were still craving comfort food and we knew what to expect from this restaurant. Well it was Sunday evening so the restaurant was pretty full by the time we arrive at 5:30. There were games on every screen and large groups of cheering fans. 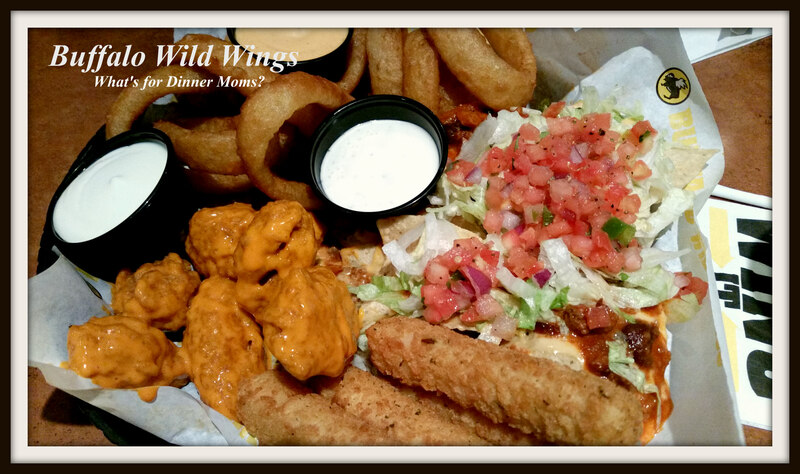 This is what we expect at a Buffalo Wild Wings. We were still seated quickly and our waitress arrived shortly after to take our drink orders. By the time she returned with our drinks we had decided to try the House Sampler. This was delivered to our table very quickly. The platter was huge! We were shocked at how large it was. It all was good too. We ate every last bite. Then we decided that we would not stop on the rest of the way home so we ordered a a Spinach-Artichoke Flatbread to tide us over on the 6 hour drive home. We waited and waited. We noticed that we hadn’t seen our waitress in quite a while. We waited some more. Just as I was about to flag down another server and cancel the order and ask for our check I overheard a manager telling another party that the entire ordering system was down and they couldn’t order food right now but they were welcome to stay and watch the games and maybe the system would be back up in a bit. Ah. I wish we had known I would have cancelled the order and we would have started our drive. As it was we waited 30-40 minutes for a flatbread. Our waitress soon after arrived with the platter explaining what happened. I unfortunately did not get a picture of this flatbread. It was a nice thin, crispy crust with lots of cheese, spinach and artichokes. We thought all the food was great bar food and we would be having them again! We had a great trip with some good comfort food along the way! Note: I am a Chick-fil-A Mom for 2015-2016. I bought and paid for our food and all thoughts are my own. Just found your blog and looking forward to reading more! Loving the pics. That is so insane! I live in Burlington, just outside of Florence lol 🙂 Small world. It was a nice area. I liked the weather more than ours (6 hours north). I asked my daughter if she wanted to move there but she said, no. Fun post! I love hearing about different places! Looks like you had a good time. Do you travel alot? We enjoy Irish dancing. It looks like a lot of discipline! It is fun. For Irish dance we travel 1-2 weekends a month from April through November.